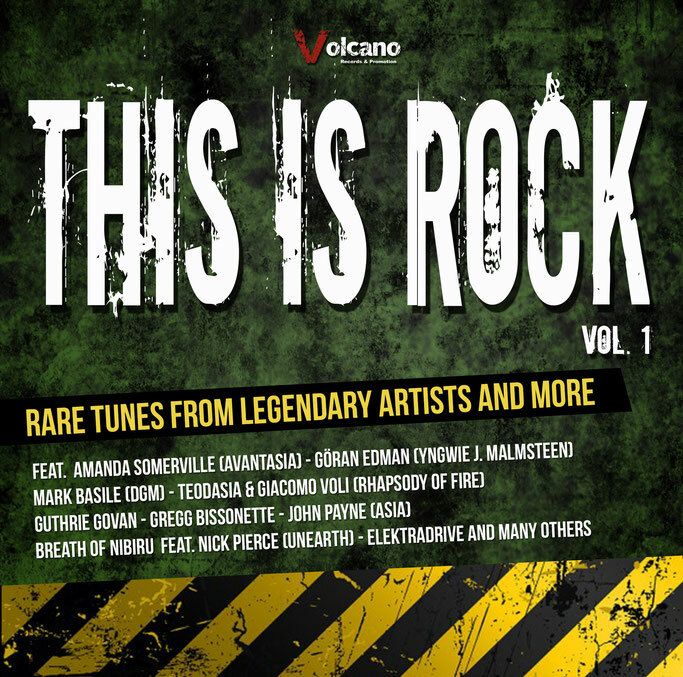 Next April 26th (preorder on www.volcanopromotion.com/thisisrock ), the collection entitled "This Is Rock - Vol.1", a compilation by Volcano Records that brings together songs by emerging bands and featuring artists of great value including Amanda Somerville (Avantasia), Guthrie Govan, John Payne of Asia and many others, will be released. Among the names that stand out in the collection are also two historical bands of the Italian hard hand heavy scene of the eighties, the Milanese Love Machine and the legends of the Italian a.o.r., the Turin-based Elektradrive, as well as the superproject Docker's Guild of the Franco-American mastermind Douglas Docker (Tony Mills, Biloxi, Vivaldi Metal Project). The intention of the label that produced the collection is to convey, through collaborations with world-famous artists, the interest and attention of the public towards younger but equally valid bands, who are working hard to find their own space.